Support Haitians who help their communities thrive. Help ensure kids and elderly are fed, mothers can afford medicine, farmers have the tools to feed communities. Be a part of the movement by giving $25 monthly below. The story continues because of you. Sign up with your email address to receive news and updates on all things Haiti. Trips serve as opportunities for our Canadian people to grow in their faith as well as understand the unique challenges our sisters and brothers face everyday. It is our hope to make trips to Haiti simple and life transformational for both visitors and the people we serve. Whether you are looking to join a trip or lead one, please let us know and we will work with you every step of the way from planning to templates to how to prepare your hearts. Fill out the form below to let us know what you’re looking for. Are you currently attending a Covenant Church? If so, let us know where you're at! Sante 2000 is a clinic run by Dr. Manno and specializes in diabetic care. 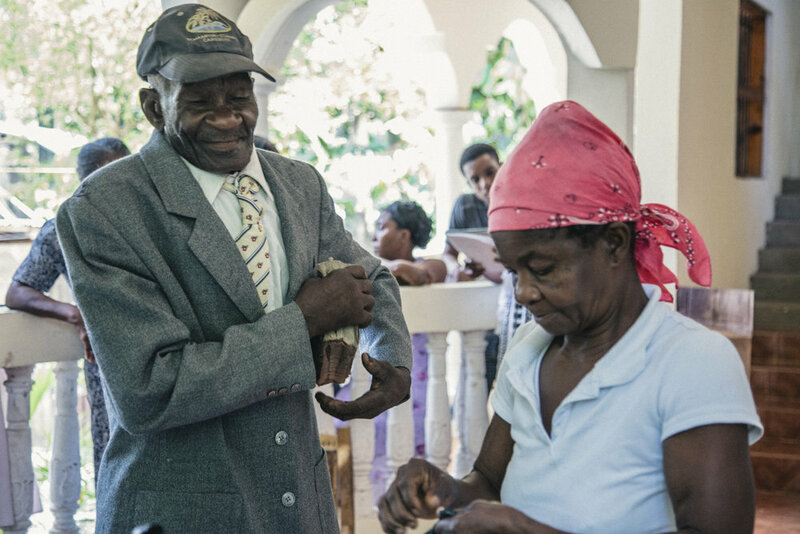 Diabetes in Haiti is a growing epidemic and can often mean death as finding the proper care and Insulin is extremely difficult. Sante 2000 has grown from 60 patients to over 300 in the last 3 years. With the financial help of the ECCC, Dr. Manno and his staff care for people within a 1-2 hour drive of Haute Limbe. Petite Anse is an area in Cap Haitian known as a slum. It is difficult to describe other than to say it’s difficult to imagine living there. The ECCC in partnership with College Park Covenant Church and a team in Haiti provide a rice and beans meal twice a week for approximately 160 children. The Garden Program is an educational training and onsite consultation program with a young woman who is the daughter to one of the Sarepta group members. She has a degree in agriculture and is working to help train local farmers and community members in agricultural practices that will provide fresh produce for their families and the neighbourhood. The Sarepta Program is a food program for elderly people in Haute Limbe. Each month, food is given to approximately 95 elderly people. The food supplements what they need through out the month. Each Sunday morning, a breakfast is provided to help boost nutrition. Without this care, it is difficult to see how some of these individuals would survive. Help Haitians thrive in their communities. The story continues because of you. Share the stories, share this campaign, share your heart for Haiti. We need your stories, your passion and action to save lives. Be a part of the movement by sharing your story below or online. Share and tag us on Facebook @covchurchcanada. Share with us your story of Haiti. Short and sweet. Both joyful and painful memories welcome. In checking the box below you are giving permission to the ECCC your story for promotional use. If you do not want your name shared please indicate in your story. We appreciate you taking the time to share your story with us. Please subscribe to our newsletter to see more updates on all things Haiti.